Customer service fit for royalty. Knowing these elements are in your hands makes you an empowered Seller. On the premise that you have mastered the above three, let’s move forward. The achilles heel of every Seller is negative reviews and in a previous article about how to deal with them, I focussed on how to learn, grow and benefit from all types of reviews, even the negative ones. Amazon will not remove negative product reviews just because it makes you unhappy. But what if you have some negative product reviews that don’t seem like fair play? It’s time to investigate if a bad product review is TOS compliant and actually warrants their presence. It may seem like a tedious task, however, you could discover an Amazon approved reasons for requesting product review removal in these two areas: Customer Feedback ratings (aka Seller Feedback) versus Product Reviews. Some buyers write Customer Feedback content as a bad Product Review and visa versa. That is actually grounds for removal submission in both cases. Customer Feedback covers the issues of delivery, packaging, the condition of the product or container (opened, leaked, cracked, broken, etc.) and customer service (rating their experience with the merchant). These ratings directly impact your overall Account Health. FBA Sellers can get negative Customer Feedback comments about low ratings for delayed, damaged goods or return issues since Amazon handles all of this on your behalf. Whether you are an FBA or FBM Seller, if a low Customer Feedback rating is only about the product; you have an absolutely valid reason to request removal since that content doesn’t belong there. Thank you for contacting us. I am happy to help you with the issue related to removal of the feedback. I have checked all the details and found that the feedback is related to a product review that was provided by the buyer and it had nothing to do with your performance or your services. As per your request,I have removed the buyer’s feedback. And voila! By the way, this Seller had a “Fair” Account Health rating. After two low ratings were removed; it returned to a 5-star “Good” status once again. 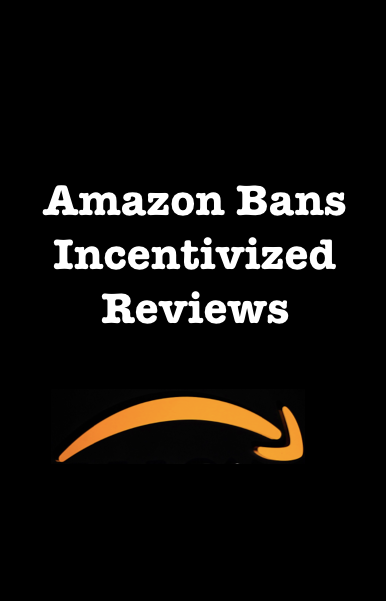 Amazon would also consider removing at least one review when “a buyer, unhappy with their purchase, posts multiple negative reviews for the same product.” Some people do this through multiple accounts. Why they would go out of their way to post more than once, is beyond me. Here is an example of a product review worthy of removal consideration… notice how this person just wanted to rant. If anything, this falls into the Customer Feedback ratings, and as you can see, the review has nothing to do with the product itself. In this case, no one can tell if the reviewer even took the product out of the box it came in. Product reviews are opinions. And Amazon likes every customer to have one. To be clear, just because a review is negative but it’s about the customer’s experience with the product – Amazon won’t even consider removing it. That type of review is legit. Remember, the only guaranteed outcome is that nothing will happen if you don’t try. There are two ways to go about submitting non-compliant negative product review removal requests: Report abuse and/or contact Seller Support. I will include both ways. I don’t believe this is an either/or option, so I recommend using both. Write clear, authorized reason(s) why the content is inappropriate (just stick to Amazon’s guidelines). Then submit by clicking on the orange Report as inappropriate button. This option allows for much more information to build your removal case. Before you go wild reporting every 1-star review, remember that Amazon may, or may not delete the ones with real content violations so don’t waste everyone’s time trying to get legitimate negative ones removed. Can Negative Product Reviews Be Changed? For some Sellers, 3-stars or less are a source of frustration. Others recognize that multiple 2 or 3-star valid testimonials is perceived as more authentic feedback. Consumers find a mixture helpful. That’s why they read both. Sometimes a reviewer simply doesn’t understand how to properly use a product (even with included carefully crafted instructions). Generally, prospective buyers discern that it’s a limitation of the reviewer versus the product itself. As the Seller, taking time to respond in a professional, friendly (non-defensive) way on the detail page for everyone to see, counterbalances those negative reviews and builds confidence in your name/brand. In many cases, answering questions leads to a customer changing their review of their own inspired volition. While it may be tempting to take your customer interaction offline: Don’t. It works in your favor to keep Amazon in the proverbial loop. When Amazon sees that a Seller is responding to product issues, they smile upon it. Prevent getting busted for misunderstood resolutions attempted off of Amazon’s platform. Even the best intentions may come back with haunting repercussions if a buyer ends up writing about how you contacted them by phone or directly via a personal email, then offered x, y, z to get their negative feedback removed. If reading that makes your palms sweat because the thought had crossed your mind; take it as a think twice sign. Instead, take confident steps via Amazon and remember to leave a trail so that they know your efforts are genuine. One way to make up for drops in conversion rates resulting from multiple compliant negative reviews is to actually acquire more reviews. This is easily accomplished by running promotions or sponsored product ads or review campaigns. Tina Marie Bueno is a global citizen with an MBA in Int’l Business plus over 20 years of content marketing experience both in the U.S. and overseas. As iLoveToReview’s Marketing Director, she strives to deliver relevant content to serve Amazon businesses of all sizes.